I created some MPS projects, and then I experienced an OS reinstallation of my mac. So now, I tried to open the old projects in MPS, but it seems I need to specify the *.mpr file to MPS, but I didn't find such a file. Who knows how to deal with the problem? You should just point MPS to the project folder. The ".mps" subfolder contains all the project info. It seems there is no ".mps" subfolder in my project. I attached a snap of the Open Project dialog, which indicates that I need to specify a .mpr file. In the dialog, actually, a new project has a MPS icon if I create it first time in MPS 3.2 , while an earlier project "ChoiceLanguage" cloned from Github (still created with MPS 3.2) does not have such an icon in the Open Project dialog. In this case, how can I open that old project in MPS 3.2? Thanks. 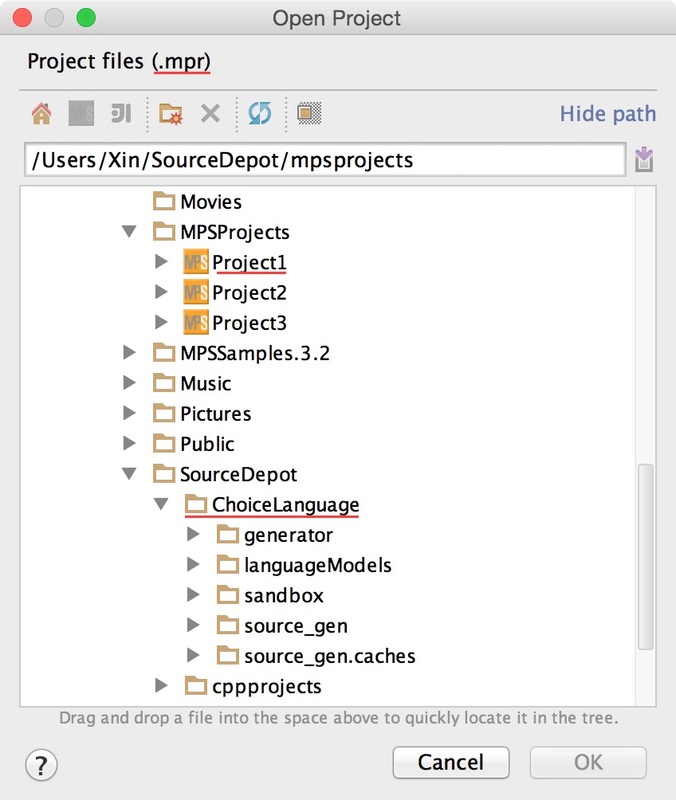 If your folder is missing the .mps folder, it cannot be open as a project in MPS. All the project info is stored in the .mps folder. It probably got deleted somewhere along the way. You'll have to create a new project in the folder and add your modules to it manually.